Live from Charleston...it's Saturday Night!! Back in July I posted about my annoyance with Modcloth - even though admittedly I shop their site and purchase occasionally. In a nut shell, I often see things on ModCloth for sale that I have seen on some of my other fave online apparel sites - identical items - but ModCloth always has their 'version' marked up at least $20 more than the other site. So even when I do shop at ModCloth I'm always wondering if I'm secretly being ripped off because they are marking the prices up so high. 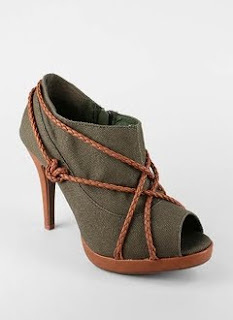 Today I found yet another example - identical booties on ModCloth's site and on GoJane.com - but ModCloth's version is...yup...$20 more. Thank you for posting this! I think they are relatively high on their pricing as well! Def visit GoJane.com! Good morning from Tokyo! I had the best laugh reading this, not only because of the Modcloth situation, but because it's so true of many stores. 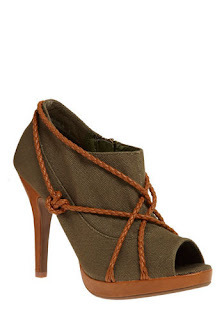 You know the hot, pricey Steve Madden boots eveyrone is trying to buy for over $130? Target has been selling the exact pair for over a year now for only $19. I know the quality has something to do with the price, but a $20 difference? Really, how different is the quality then? More likely you're paying for the name than anything else.